Chiefly composed of tiny-size rock grains and minerals, natural sandstone is fundamentally a sedimentary rock. The Earth’s crust holds feldspar and quartz as the most common minerals; hence these two are the main components of sandstone. Due to varying amount of impurities, sandstone occurs in a bevy of colors. However, the most common shades of sandstone include tan, brown, pink, red, yellow, white, grey and black. Though sandstone is found in abundance in almost every corner of the world, it is in India, where huge deposits of usable and fine-quality sandstone are found that are extensively used in the construction sector and landscape designing all over the world. A variety of sandstone products are processed at various sandstone factories in India that are in great demand in the domestic as well as international market. Indian sandstone manufacturers and exporters supplies high-quality natural sandstone products in varying shapes, sizes, designs, finishes and colors; both locally and globally. Easy to cut and carve, it is used to create arches, pillars, fountains, garden furniture and stone articles. Suitable for All Seasons: The rustic and neutral shades of natural sandstone help it to release warmth in cold weather and remain cool during warm sunny days. Durability: Sealing is possible in sandstone and properly sealed sandstone has the ability to withstand unfavorable weather conditions, environmental factors and human activities. Sealing prevents seepage and corrosion and thus, extends its life to a greater extent. Can Easily Fit with Perfection: Since sandstone is easy to carve and cut, it easily takes the desired shape, size and form. This makes it to fit in the desired location with perfection or as per the expectation. In fact, this feature doesn’t come with many other natural stones. Occurrence in Rich Shades and a Plethora of Colors: Most natural stones are known to lose its shades after prolonged usage; chiefly due to heavy foot traffic or exposure to various elements. However, unlike other stones, sandstone retains its colors and becomes more appealing with aging and natural weathering. 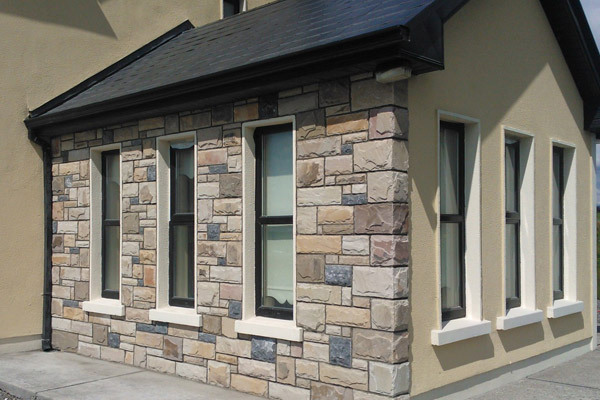 Easy to Maintain: It wouldn’t be wrong to consider sandstone installation a one-time investment, since it has an extremely low maintenance cost. 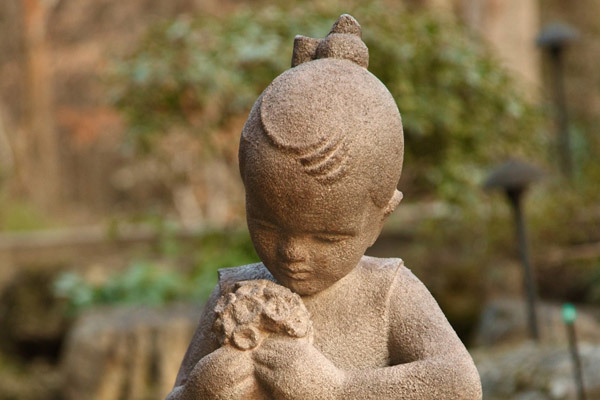 Once placed or affixed, it stays in shape and retains its texture with minimum maintenance. Anti-Skid Surface: Sandstone, especially red and pink, has a natural anti-slip surface. This makes it a perfect choice for paving. 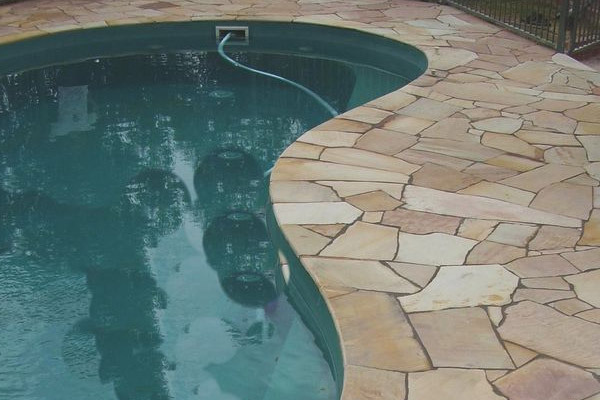 Sandstone is commonly laid on walkways, driveways, pool decks and other places that frequently come in contact with water. Moreover, since sandstone is easy to be worked upon, the desired anti-skid finish can be easily brought to its surface. Ease of Replacement: Though replacement is possible with almost all natural stones, it is the sandstone that can be replaced with minimal effort. Versatility: Not only in terms of its captivating shades, sandstone is versatile in terms of applications as well. From wall cladding and paving to creating decorative articles, sandstone can be used in nearly all kinds of landscape designing as well as commercial and residential construction projects. 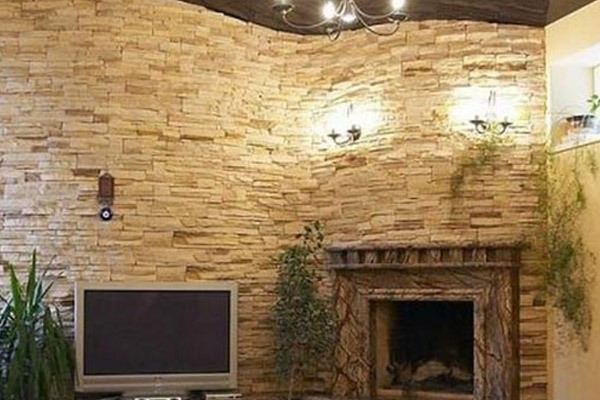 In a nutshell, we can deduce that sandstone is a long lasting, versatile and low-maintenance stone that can be used in exterior and interior designing projects even with budget constraints, wherein one wouldn’t be required to compromise on aesthetic factors and durability of the stone.